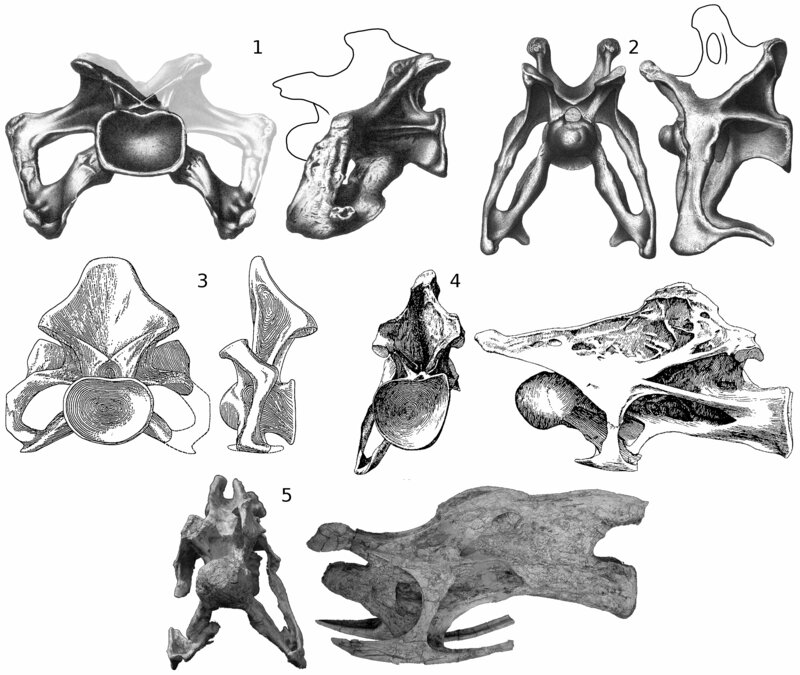 Today for the first time I saw Saegusa and Ikeda’s (2014) new monograph describing the Japanese titanosauriform Tambatitanis amicitiae. 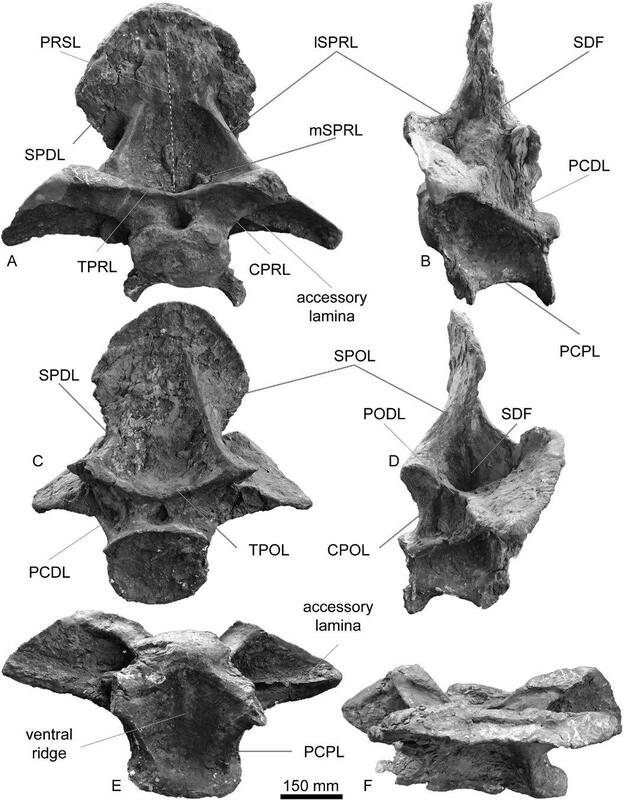 I’ve not yet had a chance to read the paper — well, it’s 65 pages long — but it certainly looks like they’ve done a nice, comprehensive job on a convincing new taxon represented by good material: teeth, braincase, dentary, atlas, and as-yet unprepared fragmentary cervical, fragmentary dorsals, sacral spines, some nice caudals, some ribs and chevrons, and pubis and ilium. 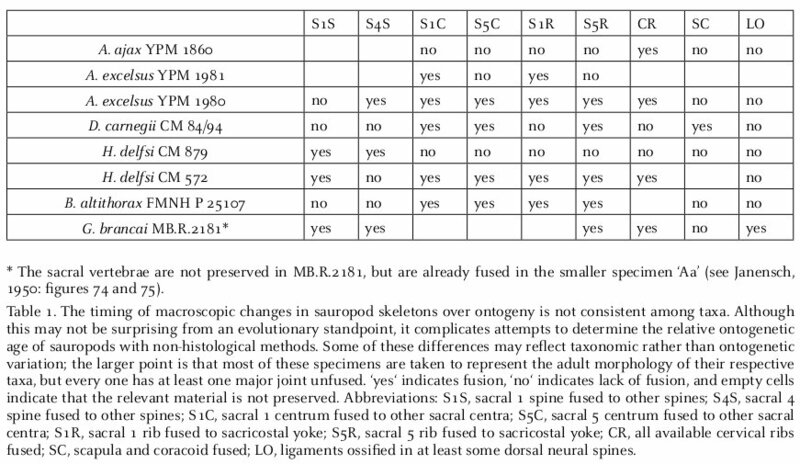 Saegusa and Ikeda (2104: fig. 8): Tambatitanis amicitiae gen. et sp. 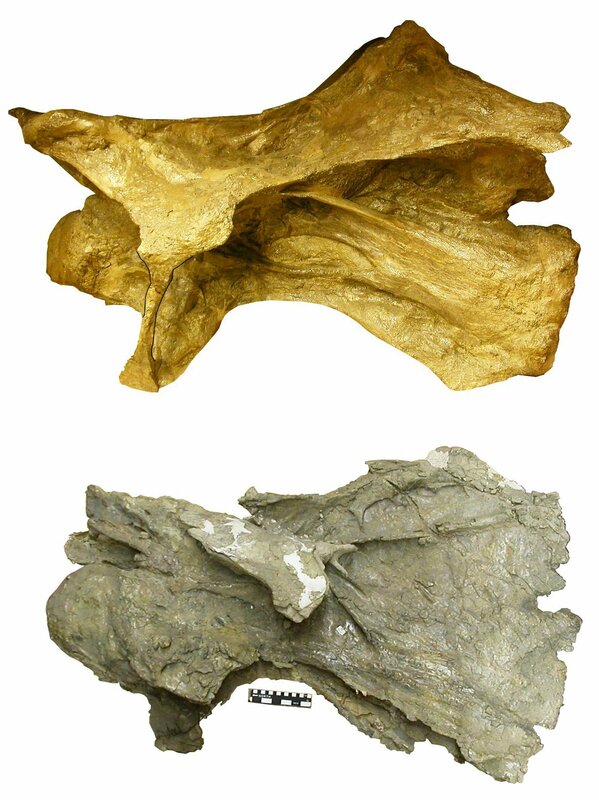 nov., holotype (MNHAH D-1029280). A, Cd2–Cd11 in right lateral view. B, Cdx1–Cdx2 in right lateral view. Saegusa and Ikeda (2014: fig. 11): Tambatitanis amicitiae gen. et sp. 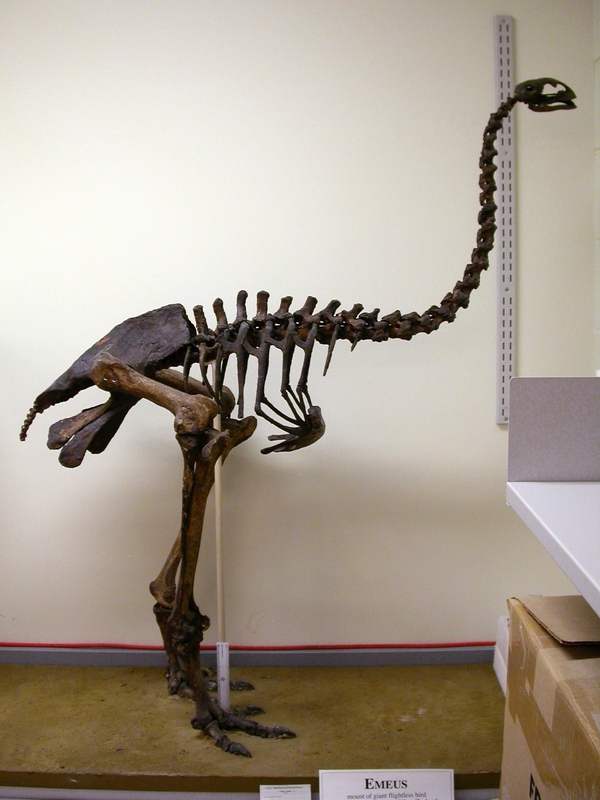 nov., holotype (MNHAH D-1029280). A–F, stereopairs of Cd3. A, right lateral view. 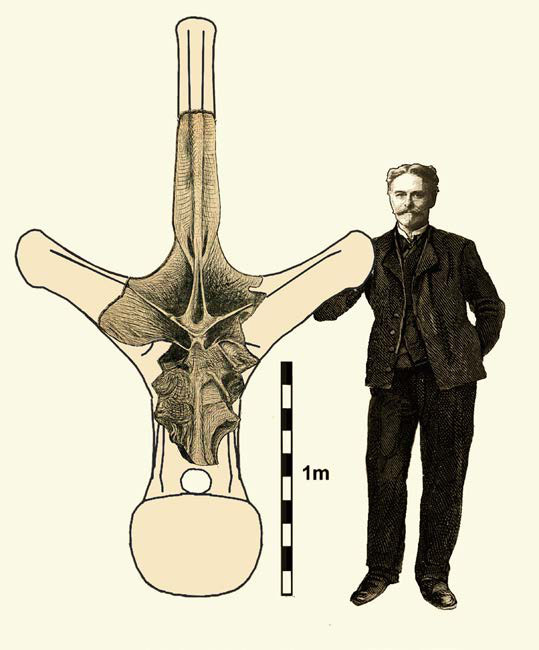 B, left lateral view of the neural spine. 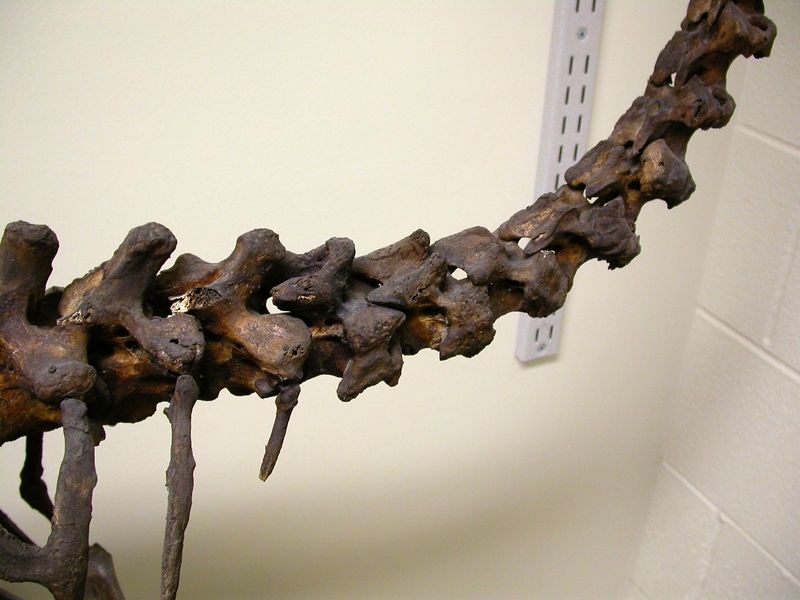 C, anterior view. 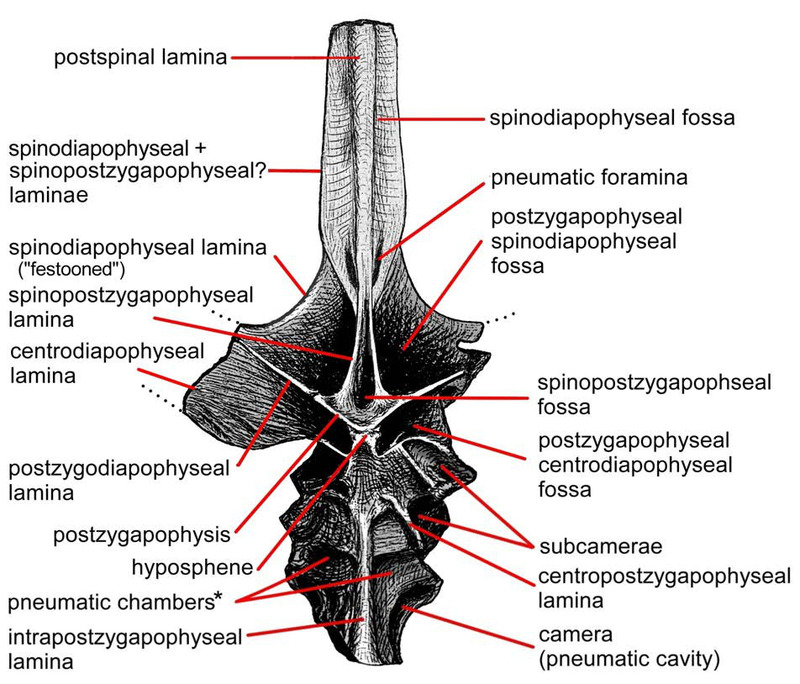 D, posterior view. 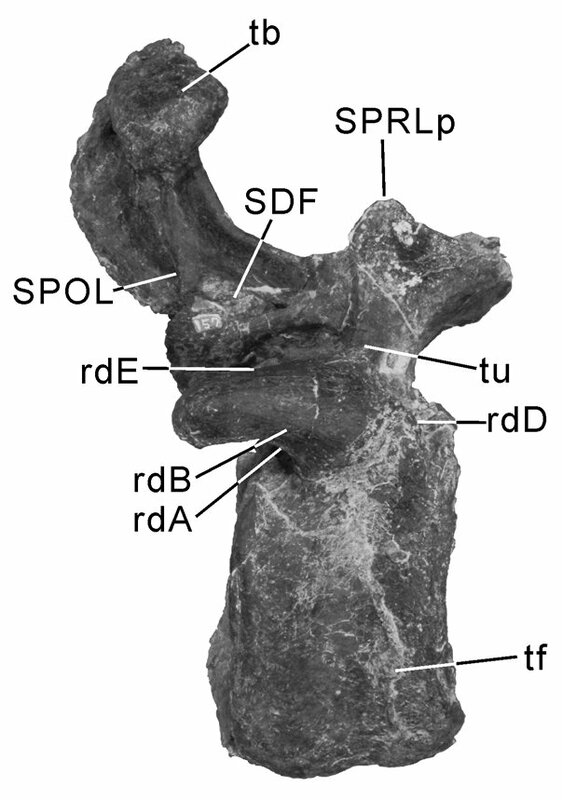 E, dorsal view. F, ventral view. G, CT slices through the neural spine of Cd3, part corresponding to the matrix that filling the internal chamber is removed from the image. Greek letters in B and D indicate the position of CT slices shown in G. Scale bar = 10cm. Saegusa and Ikeda (2014: fig. 11): Tambatitanis amicitiae gen. et sp. 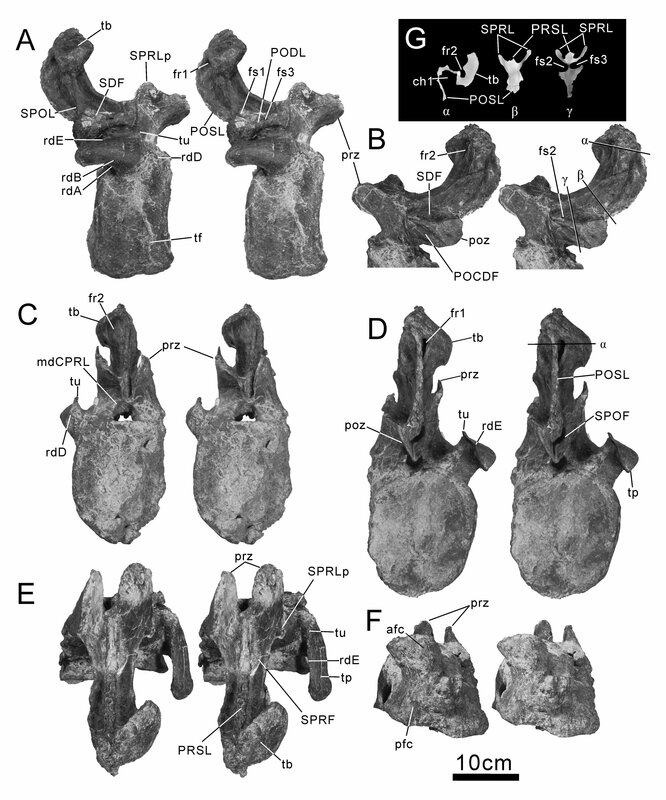 nov., holotype (MNHAH D-1029280) in right lateral view. Saegusa and Ikeda (2014: fig. 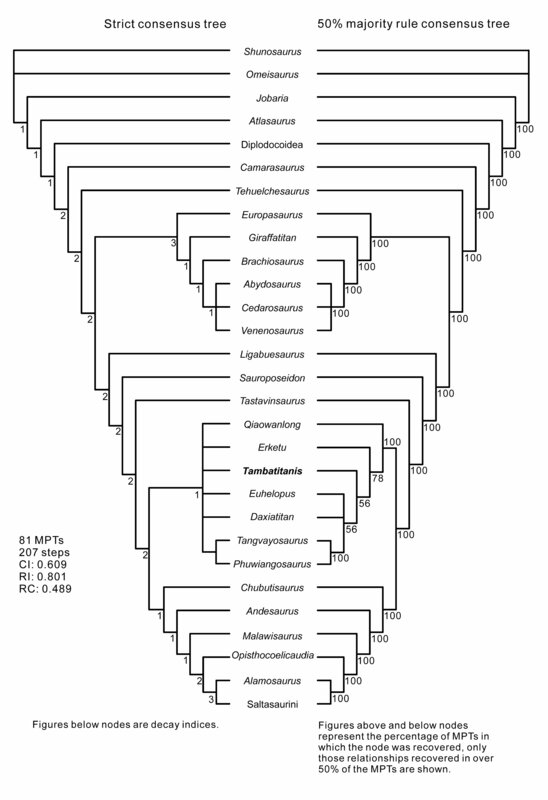 23): Phylogenetic relationships of the titanosauriform sauropod Tambatitanis amicitiae gen. et sp. 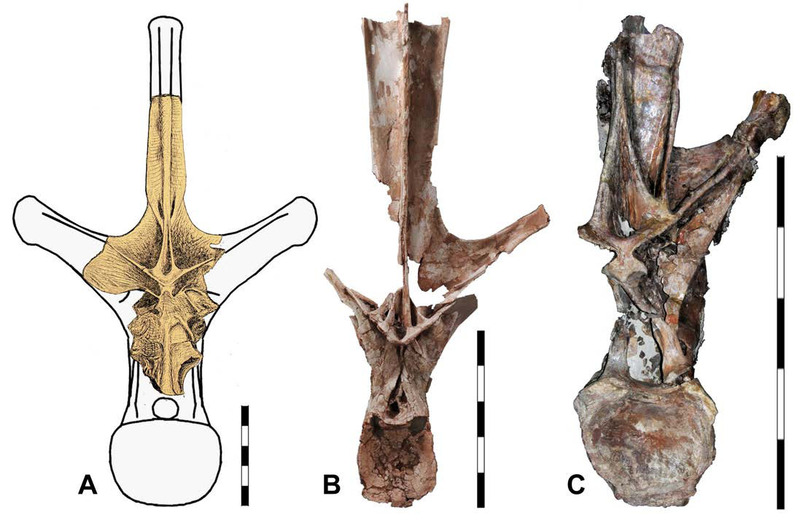 nov. from the Lower Cretaceous Sasayama Group of Tamba, Hyogo, Japan produced using the matrix of D’Emic (2012) with the addition of Tambatitanis. 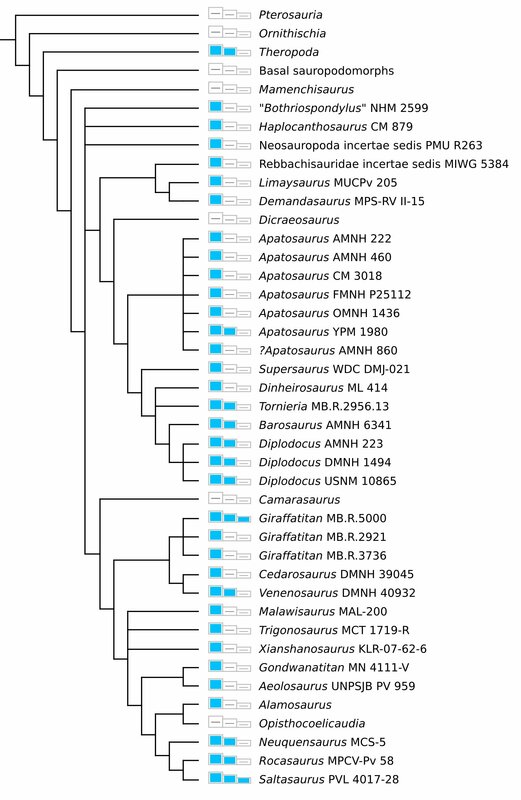 The final matrix, including 29 taxa and 119 characters, was analyzed in PAUP* 4.0b10. 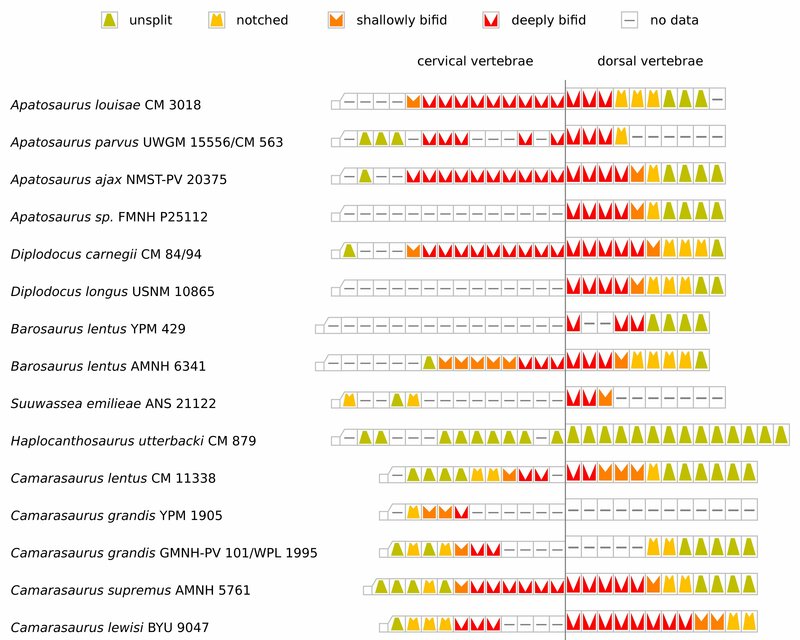 Left side, strict consensus of 81 most parsimonious trees (length = 207; CI = 0.609; RI = 0.8010; RC = 0.489), figures below nodes are decay indices. Right side, 50% majority rule consensus, figures above and below nodes represents the percentage of MPTs in which the node was recovered (only those relationships recovered in over 50% of the MPTs are shown). 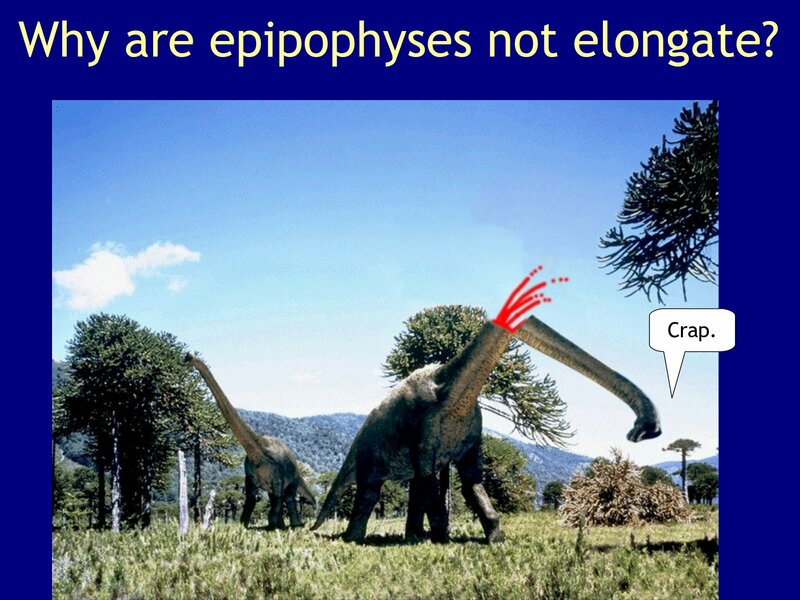 Nice to see that new sauropods just keep on rolling out of the ground faster than we can blog about them! D’Emic, Michael D. 2012. 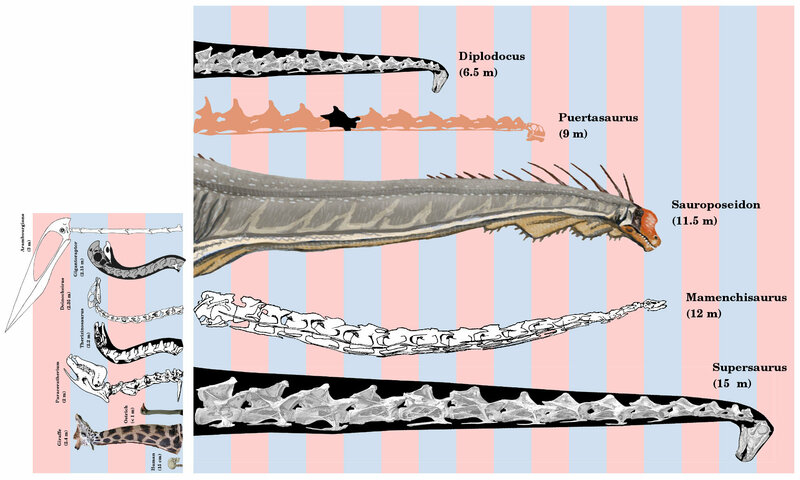 The early evolution of titanosauriform sauropod dinosaurs. Zoological Journal of the Linnean Society 166:624-671.